Depression is not an uncommon by-product of the recovery process. However, in order to treat the depression effectively it is important to understand the relationship of the depression to the addiction, and more importantly, to the recovery process. The most common approach to treating depression is through the use of pharmacotherapy. The use of a pharmacological agent, such as a serotonin re-uptake inhibitor or a mood stabilizer, has proven quite effective in reducing the symptoms of depression. However, the use of medication alone may not be the most effective intervention for improving the person’s overall level of functioning and well being without taking certain variables into consideration. In addressing a depression in the recovery process, it is important to consider the specific relationship that the depression has to the addictive disorder. These relationships can be categorized into three primary areas: a pre-existing condition; a recalibration of brain neurochemistry; and the development of coping skills. All three of these areas are important to examine when considering effective treatment planning. A person may develop an addictive disorder as a result of a pre-existing depressive disorder. Often time’s people suffering from a depression will use substances as a way of self medicating to relieve themselves from the symptoms of depression. 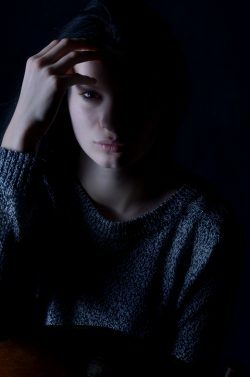 One needs to remember that a depressive disorder has a variety of symptoms that range from what one might consider benign such as lethargy, low motivation, and a general discontentment to more serious symptoms of suicidal ideation, social withdrawal, and an inability to carry out daily living responsibilities. As a result of this range of symptoms, it is not uncommon for people, particularly those people exhibiting the more benign symptoms, to actually realize that they are suffering from a depressive disorder. This is the person who doesn’t necessarily “look depressed,” usually minimizes or avoids thinking about how they are feeling, and tends to engage in pleasure seeking behaviors and activities which includes the initial recreational use of substances to feel better. Once a person becomes clean and sober, it doesn’t necessarily mean that a person’s depression has been addressed. The problem that arises here is that the person, although clean and sober, will again begin to experience the same dysphoria and begin to engage in the same old patterns of behavior which can easily lead to a relapse. It is always extremely important to assess whether a person’s addiction may have been precipitated by an underlying depression that had gone undetected. Careful assessment can determine whether that person’s depression is a “normal” part of the person’s recovery process or of a pre-existing condition. Substance abuse can lead to emotional issues such as depression. Research has clearly demonstrated that drugs of abuse impact the neurochemistry of the brain both in the active stages of an addictive disorder as well as in the recovery process. Drugs and alcohol have the ability to impact the neurochemistry of the brain by interfering with the proper functioning of certain neurotransmitters such as serotonin or dopamine leading to a myriad of symptoms such as depression, anxiety, and mood swings. In the early stages of addiction, people are often misdiagnosed due to the variety of symptoms that a person is presenting as well as the failure of that person to let someone know that they are using drugs or alcohol. In the recovery process, once the substances are removed from the person’s neurochemistry, the brain begins to recalibrate itself to a more normal and steady state. Unfortunately, this recalibration can take a little time and, as a result, the person may be subject to fluctuating moods, depression, and anxiety. A pharmacotherapy regime may be prescribed to assist with alleviating the person from these particular symptoms, however, it is extremely important to realize that these symptoms may be a direct result of the brain recalibrating itself to a more normal and steady state rather than a pre-existing condition. The use of a pharmacotherapy regime may not be required on a long term basis. It is always important to let that person know that their symptoms may actually be symptoms of sobriety that will begin to dissipate within a relatively short period of time. In the early part of recovery, it is not unusual to hear the complaint “My medication is not working. I’m still depressed.” Although this may be very true due to the recalibration of the neurotransmitters in the brain, the so called depression the person is experiencing may also be a “normal” depression. In other words, the person’s medication may be working but the person’s life is still in shambles and still a mess. Remember, just because a person has made a decision towards recovery, doesn’t mean that they automatically changed their old patterns of behavior, namely, the need for immediate gratification. Once the person begins their recovery process and they are looking at life through a sober lens, they often see the path of destruction the disease has left behind regarding family, friends, career, and their own personal development. In essence, the person is supposed to be depressed. Although medication and therapy can be instrumental in helping the person to feel better, it is more important for a person to begin to take an inventory and begin working on their level of functioning skills. Addressing interpersonal, social, familial, professional, physical, and spiritual concerns are of vital importance in assisting the person to reduce their depression. In developing more effective treatment planning it is important to remember that all depressions are not the same. The tendency to date has been an over reliance on using medications as a means of addressing a person’s symptoms. Although medications can play a vital role in stabilizing a person’s mood, it needs to be emphasized that medications alone may not be the most effective form of intervention. For instance, when depressive symptoms arise as a result of recalibrating brain neurochemistry issues, it may be more practical to assist the person in learning how to calm the body which in turn can assist in balancing a person’s neurochemistry via breath work, yoga, nutrition, meditation, and relaxation exercises. Talk therapy may play a very limited role in these situations since the symptoms of depression may be stemming more from the biophysiological change occurring in the brain from an addictive state to a sober state. Anti-depressant medications can only do so much particularly when the neurochemistry is making this transformation. A good analogy here would be with someone who starts working out in the gym after a long hiatus. Once that person starts working out again, there is a good chance the person’s muscles are going to be initially sore. Only time and conditioning will alleviate the soreness. The same analogy can be made with someone who transitions back to a sober state. In other instances, sobriety is the beginning of real stress for the person particularly in those situations where the person has never developed or has neglected the necessary coping and problem solving skills necessary to deal with real life situations. Pharmacotherapy can be extremely useful in helping a person look at their life in a more objective manner by reducing the symptoms. This definitely can create a level of motivation and hope on the part of the person. However, it is not necessarily going to help that person with practical problem solving skills particularly if that person has never developed these skills in the first place. It is one thing to feel motivated about obtaining employment. It is another thing to actually follow through with the practical steps of going on a job interview or actually working in a structured work setting. Many individuals with an addictive disorder simply have never learned and/or experienced how to appropriately handle these everyday life circumstances. In other instances, the person has never really learned alternative coping skills which leave the person vulnerable to relying on old patterns of behavior which have already proven unsuccessful. Medication may not be as important as cognitive behavioral therapy which can assist the person in skill building and self-esteem. In order to effectively address a person’s depression in recovery, it is of utmost importance to conduct a thorough and comprehensive evaluation for purpose of differentiating between the various variables that may be fueling a person’s depression. It is not enough to assume that all depressions are the same or that all depressions will respond to the same treatment protocols.